Salem, Oregon-based Wandering Aengus, producer of the Anthem as well as Wandering Aengus line of ciders, is now under new management with the purchase of an interest by the Hood River, Oregon-based Hood River Juice Company. David Ryan, president of Hood River Juice Co., joins James Kohn as owner and manager. “This is an incredible opportunity for Wandering Aengus Ciderworks to partner with David Ryan. David has been a great supporter and supplier to both us and the cider industry for over seven years. The new partnership will provide our company access to resources and expertise to further refine our quality and expand sales of both of our Wandering Aengus and Anthem brands in existing markets and new ones, too,” says James Kohn, co-owner of Wandering Aengus Ciderworks. Wandering Aengus was started in 2005 by James Kohn and Nick Gunn. Nick has sold his ownership in Wandering Aengus to pursue his passion for cider education and outreach. He is currently serving as the president of The Northwest Cider Association as well as president of the Cider Institute of North America; he also has formed BenchGraft to offer consulting to start-up cider companies and teaches cider-making classes through the Oregon State Extension Office and various other organizations. Wandering Aengus and Anthem Ciders are distributed in 15 states. Wandering Aengus Ciders are vintaged and crafted from rare locally grown heirloom cider-specific apples. 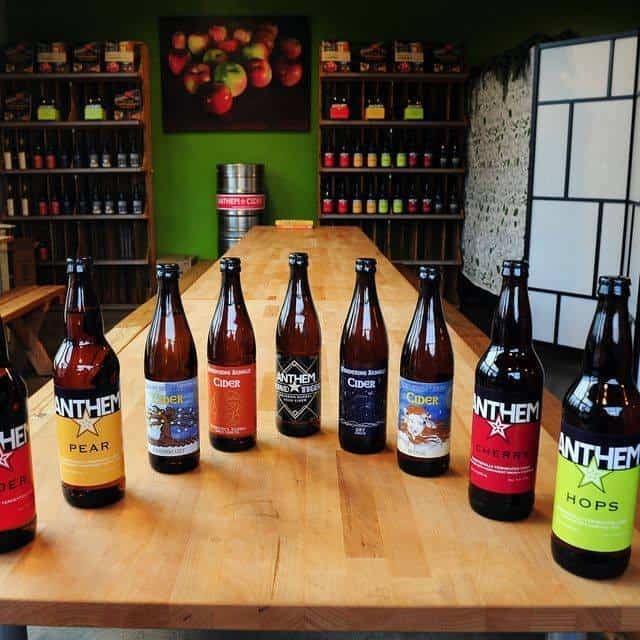 Anthem Cider is made from well-known regionally grown eating apple varieties and finished with a range of other fruits and hops.